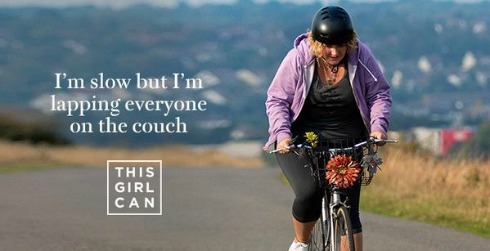 I’ve shamelessly borrowed the picture from the excellent ThisGirlCan, an initiative to encourage more women and girls to exercise. It’s a great picture and a really great motivator because it works on many levels. One of the reasons women don’t exercise is because they fear being ridiculed, of being stared at and found wanting in some way. One of the reasons cited for women not ‘getting to the top’ career wise is a lack of confidence. Which is a direct parallel with why women & girls don’t like to exercise in public. Each of us has to take control and responsibility for our lives, whatever the circumstances we find ourselves in. So, beginning today, ‘get off the couch’ and start doing your thing. You may start slowly but you will improve and get where you want to be. Ignore the ridiculers and naysayers. It’s your life, not theirs. You just have to start…and remember, You are wonderful! You might also enjoy reading Be Your Own Woman. RenewYou is my one day course for women everywhere who want to make the best of whatever it is they have (which is so much more than you think). No cajoling, or lecturing. Simply a focus on helping you be the best version of you and you decide what that is. 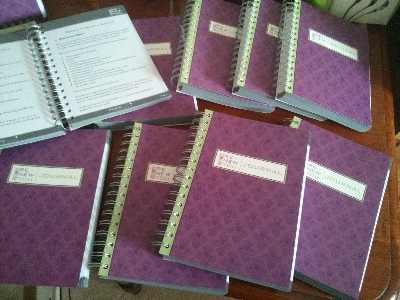 With a great journal to keep you inspired and motivated all year. Available worldwide. Click here for more details.